Most of you know that for the past six years or so I’ve been consulting authors on social marketing and branding. And what I’ve learned is that authors, both traditional and indie, don’t understand how to use social media, nor the power it can have on their bottom line. This is where most authors stumble. They feel like always shouting out their sell-pages, making demands of their followers, adding a “call-to-action” statement after every post is the way to go. That doesn’t inspire readers–it annoys the hell out of them. I think the biggest problem is that most authors don’t take the time to learn social norms within the structure of the social site’s environment. For example, Facebook is geared toward more in-depth discussions, whereas Pinterest is for the visual “net surfing” crowd. Instagram is loved by the teen/college readers, as is Tumblr, and both are geared toward a “concentrated message” type of approach. While twitter does the best at engaging all age/content demographics, people on this site interact more with pictures or opinion statements. My point is each of these social networks has a distinct personality, and that needs to be respected, especially by authors that are looking to reach new readers. And so, I thought I’d develop a Social Marketing 101 blog post series to delve into individual social networks and how they are successfully used by authors to help garner new followers. First and foremost, respect those on the site. No one likes spam. Links to sell pages, reviews, sell pages, newsletters, sell pages … well, you get the gist, is the epitome of spam. The name “spam” was coined after a Monty Python skit in which a restaurant only served spam. This week, we are focusing today’s discussion around the wonderful world of Twitter. 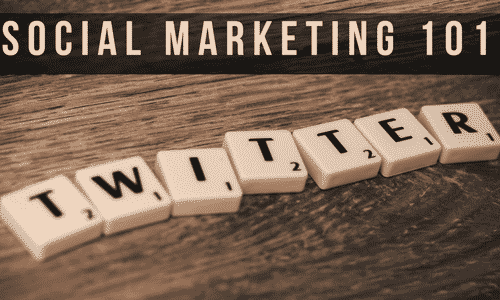 According to Max Influence Consulting, the average half-life of a tweet is twenty-four minutes, and so it is acceptable to repost tweets once or twice a day. Never post the same tweets multiple times in a row. With only 120 characters (taking into account that someone may retweet, and so your message will be cut short if you get too close to the full 140 Twitter allotted character limit), every space counts. You can track how successful your tweets are by how many retweets, likes, or comments it gets. 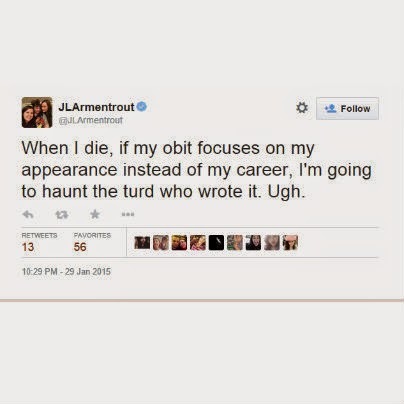 Below is an example of a successful author tweet. This one is an oldie but goodie from Jennifer L. Armentrout. This tweet has been retweeted 13 times and marked as a favorite 56 times. Too, the replies on the tweet encouraged her followers to engage in conversation. Notice there are no buy links, no shout out to her newest book and no “call to action. ” It’s just Jennifer being Jennifer. Her fans adore her for her authenticity, and her sales reflect that. 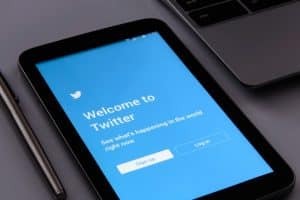 If you are new to the Twitterverse and aren’t sure what you should do, here are four huge no- no’s that tend to turn readers away. #4–Automatic Direct Message with a call to action. Here’s the thing: you’ve just connected with this person. Messaging them with a “buy my stuff” makes readers feel used. And no one likes feeling that way. While I know some articles emphatically state that automatic direct messages on twitter are a must, I disagree. Spammers have abused Twitter’s messaging component so much the site finally created a “Mark All as Read” button on the top of that tab. Seriously, people. Asking someone who’s just followed you to vote for your book or buy your product is a twatwaffle move. #3–Never retweet or interact with those following you. If you are a teen, or someone who only uses twitter to interact with close friends and family, by all means, this is for you. But if you are an author looking to find new readers you’re bending yourself over a barrel here. This creates an extra step to follow you, and the reader has to join the service to be “validated.” I’ve found most people won’t go the extra mile. Instead, they’ll shrug with an “oh well,” unfollow you, and move on. Make it as easy as possible for your readers to find you. #1–Don’t link other networks to Twitter. While over-sharing in other networks is taboo, it’s a great thing on Twitter. So be sure to tick those little boxes on Tumblr, Instagram, Pinterest, LinkedIn, and StumbleUpon and automatically funnel their posts into Twitter too! Next week? The ever-changing world of Facebook! One other I’d add is that if you find a way where you can add followers without their knowledge, don’t do it. My DM’s are a testament to the fact that it is possible because I NEVER followed these people and yet they are able to DM me. And yep, when I check Twitter thinks I am following them. I make sure I click that little button right away. So the DM will actually get you unfollowed by me unless I know who you are. And right now, I’m not sure who are worse, those who constantly hawk their product or the constant and unceasing political commentary. Yeah, I get it. You’re not happy, but I don’t need you to retweet EVERY single tweet made by someone else supporting your beliefs. It turns my stream where I used to find interesting things to look at into an unrelenting stream of hate. Very useful for some of the writers I encountered on Twitter! I do however put theURL of my blog/website on there if I’ve added a piece of writing to it – e.g. news or a book review (of someone else’s book of course!) Otherwise, it’s re-tweets of articles I’ve read (pointed out on Twitter) or remarks I appreciate for their humour or aptness, or ‘sign the petition’ pieces. My aim to is connect and/or to give an impression of the kinds of things which interest me and will therefore be part of my (fiction) books.